I have been driving up to Montreal from Boston 2-3 times a year for 15 years. 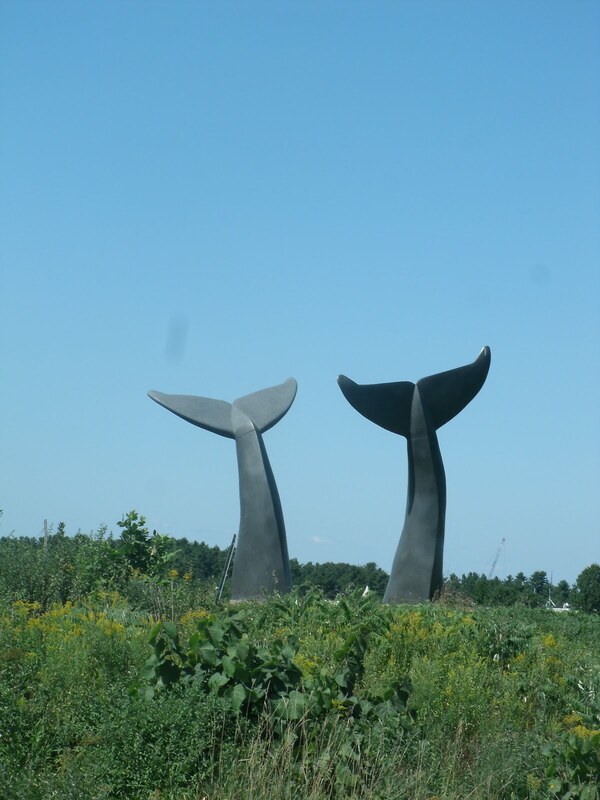 We head up route 89 and always watch for this unusual sight in between exits 12 and 13 on the north bound side in Burlington, Vermont. 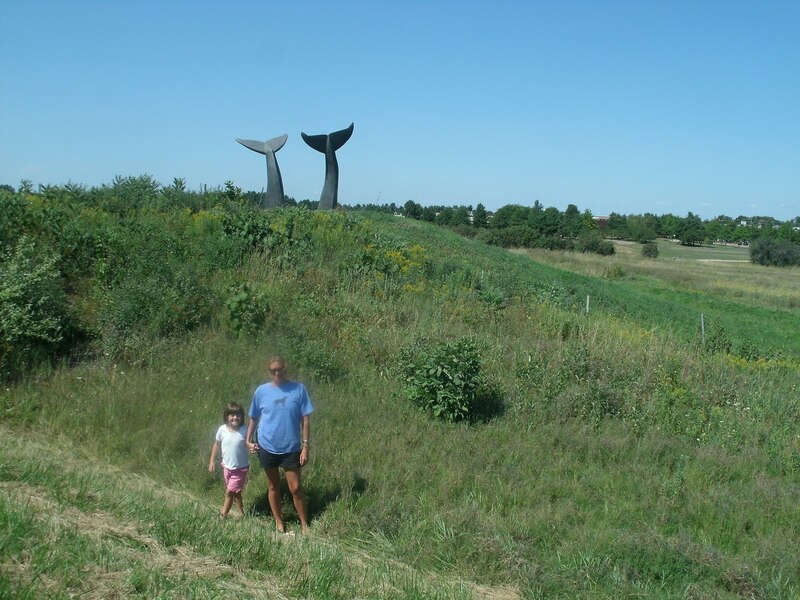 Out in the middle of a field next to the highway, there are two whales "diving" into the grass. 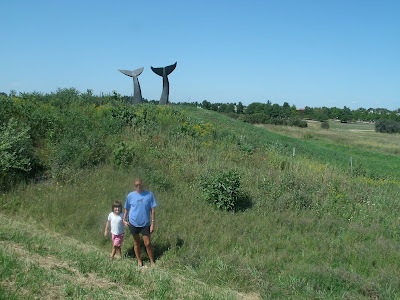 It's a landmark moment of every trip; someone ALWAYS asks, "how long until we're at the Whale's Tails?" The actual name of the sculpture is Reverence. It's an apt title, we've been revering this for 15 years. On each and every trip I say to myself: "Self, you ought to stop and snap a picture." This was the year!